Who doesn’t love to walk the aisles of TJ’s to find some new things to try? I went to a Trader Joes recently to check out some of their new stuff this week. If you’re unfamiliar with the chain, let me give you a short history. Started in 1958 in Monrovia, CA, Trader Joes is a specialty grocery chain concentrated heavily in California as well as several other states. Offering products unavailable at large chains and with competitive pricing, TJ’s (As fans sometimes refer them too) have built a loyal following with very little, if any, advertising and have been given high marks from publications such as Consumer Reports. Picky Bars – $2.29 each Whenever I get these kinds of bars, I am expecting a tough and chewy bar that wont give up or give in to my teeth. These guys were soft, not brownie or cake soft mind you, but enough to where it won’t feel like a workout for your jaw. 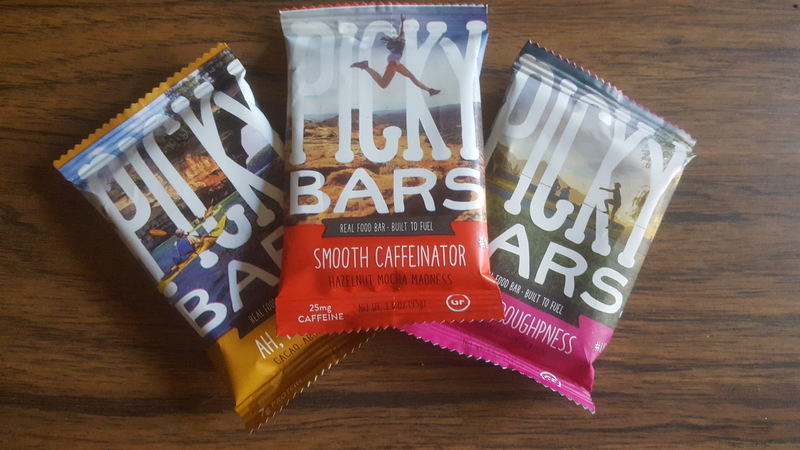 With three different flavors, they each have a unique feature to them; the Smooth Caffeinator has 25 mg of Caffaine in it to keep you going (According to google, a typical cup of black coffee has about 95 mg), the Ah Fudge nuts has about 7g of protein, enough to keep you going until your next meal. I don’t recall what the raisin cookie dough flavor had, but it was delicious. While not a KO, these bars are ones to check out for those people who *gulp* forget to eat their meals. 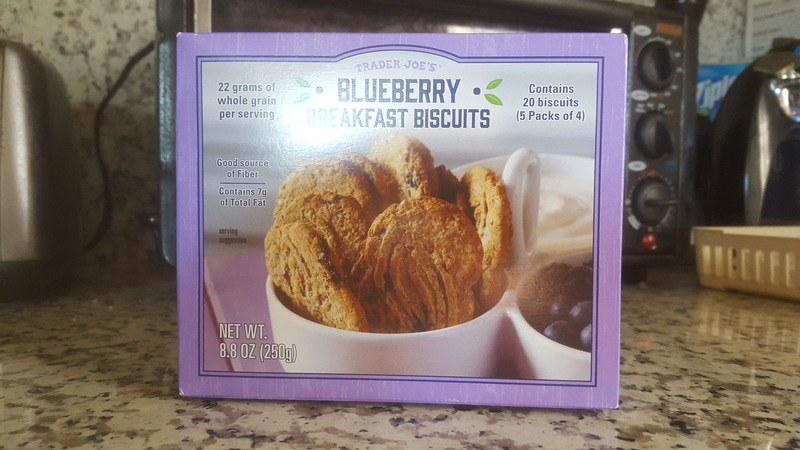 Blueberry Breakfast Biscuits – $2.49 These kind of sound similar to the Belvita brand, and you know what? They are. What I did enjoy, and that the Belvita Brand doesn’t have, were the real blue berries mixed into the cookies. They aren’t too crunchy, but they weren’t soft either. Like the Picky Bars above, this would make for a great snack or meal on the go. 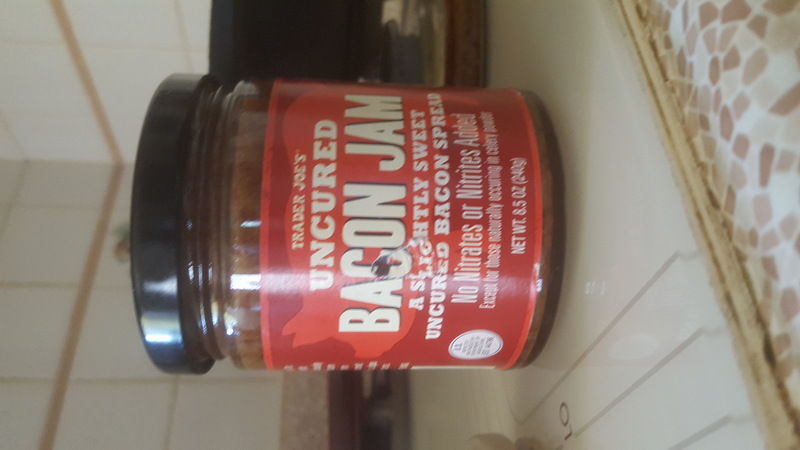 Uncured Bacon Jam – $4.49 To me, this was more of a novelty item than something you’d want to enjoy on a regular basis, but since I know there are legions of fans of bacon, I could be wrong. The taste was great, it was the consistency, however that got to me. It wasn’t bad or good, it just gave me a very peculiar mouth feel, somewhere between spaetzle and strawberry jam. It actually went well on toasted bagguette, so I’d say save it for appetizers at your next get together. What did you guys think? Would you like us to be your guinea pigs for you? because we are so down for that. Was there anything else we need to try for you? let us know in the comments below.